I get a lot of customers who are new to yachting and wonder if there are any good books focusing on buying a yacht and the variables involved in yacht ownership. I have looked around and can’t find anything specific to buying a pre-owned yacht (which is what I specialize in), however there is a good book relevant to mega yacht buyers who want to build a custom design…” Mega Yacht Wisdom II” by Buddy Haack and Doug Hoogs (both competent ex-yacht captains) and available online. A buyer needs to have realistic expectations, as the market changes radically as the budget goes up or down. Getting everything that you want is proportionate to size, goals and budget. With this in mind, the budget is not limited to simply the purchase price, but to also keeping things going. Other considerations are maintenance and repair, dockage, crew considerations, and so on. This is where other factors come into play. What are your cruising goals? Do you want a boat which is fine for weekend (or an occasional two week) trips say to the Florida Keys and perhaps the Bahamas, or a boat which has longer “legs” which can navigate in safety to the Caribbean Islands for a longer period of time (I will cover some criteria for this in another blog post)? This also applies to sailing yacht buyers, although more critical for motor yacht buyers. How large of a boat will you be comfortable in? Staying aboard for longer periods requires a full beam aft or mid-ship main (master) stateroom with room outside to enjoy life, whether it be a large flybridge or aft deck. 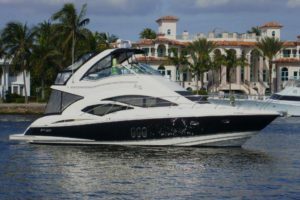 Most of the folks who find out that this is a terrific lifestyle, eventually opt for a larger boat which will allow for these two important factors: livability for longer periods. Without a doubt, seaworthiness is paramount. If your goals are to cruise from marina to marina, then one doesn’t need to worry about the very seasick wife hitting the rails with the cry of “this isn’t my idea of fun!” If your plans include more adventurous plans, say to the lower Caribbean or unprotected waters, then a planing, light cruiser is not a very good choice (see blog on transporting), but rather a displacement or slower yacht with stabilization. An important aspect of yachting is the ability to gather and share the seagoing home. Once you are away on the vacation, new friends (and often family) want to join in the fun and experience (which is exactly why yachting offers a unique lifestyle to enjoy intimate time together). Thus the question of comfort and how long one can sustain a crowded boat. It is very important to have expectations with individual comfort in mind., and how many staterooms will be often in use. 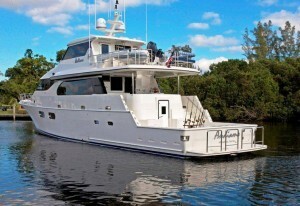 It expands once a larger yacht is envisioned as crew need their comfort as well to do their very hard jobs. Of course, this expands into the galley and amenities to be able to keep the party in large happy. Additionally, the ideal yacht should have outdoor spaces for all not to feel too clustered as privacy and space become important quickly. Equally important is the age of intended guests…as small children and such will need to be watched carefully and not exposed to dangerous ladders or spaces where they can injure themselves. All of us have a sense of what we thinks looks good. Just as in picking a car style, we all want something which defines who we are. Face it – you need to look with a boat with ‘love’ – something that we can look at and say ‘that is me’. Yet, different styled yachts have different limitations. For instance, Euro-styled sleek-looking boats have a limitation on interior volume, whereas domestic US styled boats (note that the majority of Taiwanese built yachts are designed and built for the American consumer) put an emphasis on volume….and thus livability. The same holds true with Sailing yachts. Thus the variety of the multitude of yachts abounds. Are you handy with fixing things or is the newness of equipment and systems more important? 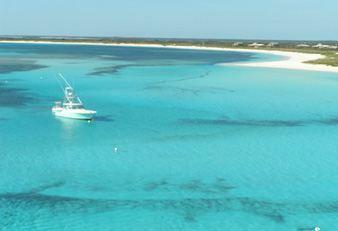 If handy, an older boat will certainly demand more monitoring and repairs as equipment ages. With this goes the availability of parts and technicians who can perform repairs. A good example might be the saga of Detroit Diesel engines. There are plenty of these venerable engines still around, along with fair parts supply. Just about any island has a fellow who can work (I did not say competently) on these as they have been around for over 50 years and are fairly simple. Compare this to a modern, electronically controlled engine (as mandated by increasing pressure to control emissions) and you almost always require a factory trained tech to troubleshoot and repair these increasingly computer controlled (but here to stay) engines. On one hand, aging, less fuel efficient engines which may be simply repaired …or relying on manufacturers with a stretched-out service ability. As you wander from the major coasts (which is the goal of course), one should realize the probability of service. boats tend to have very small markets indeed. My advise…follow the market with production yachts with proven desirability and options. My philosophy (in concert with the majority of my seasoned buyers) is to buy with value in mind, yet with proven upkeep. Other posts of interest include: Being the Second Owner of a Yacht”, Buying a Yacht in a Depressed Market and Yacht Dockage in South Florida.